ThinkPad™ Password Solutions to recover or clear unknown or forgotten Supervisor Passwords and Repair CRC1 and CRC2 Errors. Since early 2002 this site has been dedicated to ThinkPad™ (TP) owners who find themselves locked out for whatever reason, they may not know the Power On Password (POP) or Supervisor Password (SVP) or Hard Disk Password (HDP) or encounter a BAD CRC1 or CRC2 ERROR on their TP. TP owners will have subsequently discovered, to their absolute amazement, that the manufacturer of their beloved TP offers no economically viable solution. The manufacturer does not have a policy to help genuine legitimate owners out of this predicament without paying, in some cases more than the TP is worth, to replace for no sane or logical reason their perfect and fully functional System Board! Unlimited use ThinkPad (TP) Supervisor Password (SVP) removal tool which can be powered by the USB Port of the supervisor password locked ThinkPad itself, it does NOT require a second PC when using the Zap SVP button or when used together with the KMX-LCD can also be used with a another unlocked PC or Laptop to Display Recovered Supervisor Passwords. 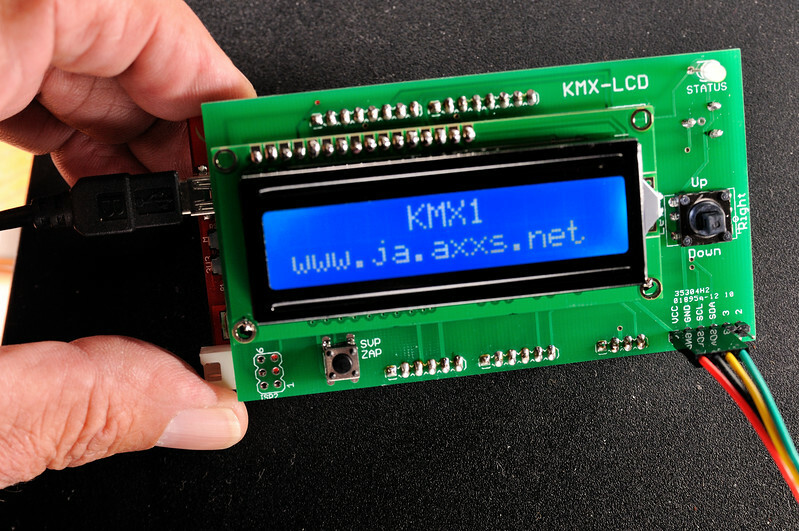 Works with ALL KeyMaker Boards, simply connect/join KMX-LCD to any KeyMaker board. 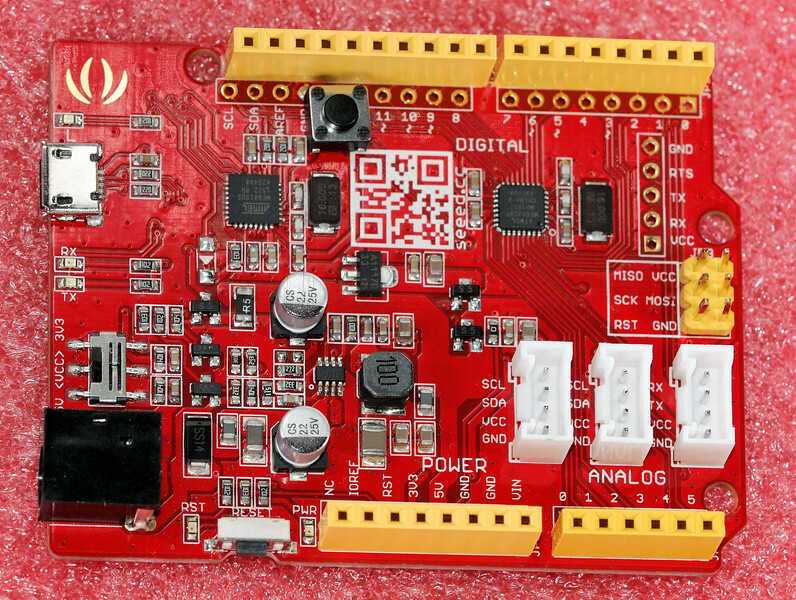 I know this may all be very exciting and you are ready to start ordering KeyMaker board and stripping down your TP and jump into it, but WAIT! read all of this first. Most people are absolutely certain they have a Supervisor Password (SVP) set . When you have flimsy security and obstinately pretend it is so secure even the manufacturer cant unlock it, well you have to get all secretive and vague about it all praying customers wont find out, in other words an illusion of strong security which is what we have here. 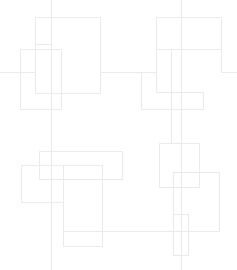 Clearing a Supervisor Password (SVP) from a TP is fairly straightforward. It will cost you more to clear the HDP than a new reliable Hard disk with warranty is worth. I have only seen this distinctive SVP icon on one ThinkPad, so it is RARE for now, almost all ThinkPads to date use the same icon to prompt for POP and SVP. NOTE - IMPORTANT - make sure you do read this !! The instructions in the IBM/Lenovo HMM regarding POP removal are easily misunderstood. The CMOS backup battery [small single cell lithium battery, usually yellow colour] must be disconnected. Main battery MUST be removed. AC Adaptor MUST be unplugged from the ThinkPad. In other words the ThinkPad must have absolutely no electrical power, no CMOS battery - no main battery - no AC adaptor connected. Then with NO ELECTRICAL POWER at all to the ThinkPad WAIT A FEW MINUTES just to be on the safe side. After POP removal, connect the CMOS battery, install the Main battery, connect the AC adaptor. Switch the ThinkPad ON and you should see an ERROR MESSAGE about Date and Time needing to be set. That error message is your confirmation of a successful POP removal. That is NOT a real error, it simply means that once you can go into BIOS setup you need to set the correct Date and Time, so it is not something that is of real concern, nothing is wrong, this is normal. If you do not see an error message that means that you DID NOT reset POP. Main reason is usually that you have not removed ALL POWER from the ThinkPad, read the "NOTE - IMPORTANT" paragraph above and try POP removal again. if there is no password prompt icon displayed, you are done, your TP is unlocked, go to BIOS setup by pressing F1 when switching ON [press ESC key to continue past the error message] and set Date and Time then press F10 to save. I didn't know there was a Supervisor Password (SVP) set - did the ThinkPad (TP) set one all by itself ? Lots of TP users are not aware that their TP has a SVP set. A TP with a SVP set does NOT prompt for the SVP when switched on and is allowed to boot normally. This is exactly how I got involved in SVP password recovery. My TP worked perfectly for many months until one day I needed to change a setting in BIOS setup. It was only when I pressed F1 to enter BIOS setup that a SVP prompt appeared. If the CMOS battery goes flat or is disconnected for even a very brief period the Date and Time are reset, next time the TP is switched on it absolutely insists that you go to BIOS setup in order to set the correct Date and time, if there was a SVP set [even though you had no idea a SVP was already set] then it prompts for the SVP. No, the TP will never set a SVP all by itself, human intervention is always required to set a SVP.